Enjoy Living heresubmitted by John S. - Apr 01, 2019 |Recommended: YesVery nice complex. Units are well designed and comfortable. Nice community short termsubmitted by Nicole M. - Feb 04, 2019 |Recommended: YesI have been here 2 yrs now. It has been a good place to live short term. I will not be renewing my lease for year 3. My unit was impeccable upon moving in, all brand new stainless steel appliances and fixtures. I have no complaints about that at all. Maintenance was always prompt when I had an issue which there weren't many. My biggest complaint is noise and parking. If you live underneath someone, be prepared to hear everything. The parking is just horrendous. Not enough for the amount of people living here. The development itself is overall way too busy and crowded. The dumpsters are always a mess with trash, broken, furniture, broken glass etc. If they could figure out a way to fix those things, this place would be great. Excellent location and nice clean apartment.submitted by Mushtaq H. - Jan 31, 2019 |Recommended: YesGood location and good community. Maintenance service is good too. I have enjoyed living at LaMer. My two complaints are noise from neighbors in the bedroom, because people do not adhere to policy rules, and lack of parking for guests.submitted by Catherine C. - Nov 03, 2018 |Recommended: YesIt is a great multiple dwelling experience. Great property to livesubmitted by Anuj S. - Oct 06, 2018 |Recommended: YesAmazing. Great. High standard of living. Safe. but slightly expensive. Enjoyed my staysubmitted by Jennifer L. - Sep 11, 2018 |Recommended: YesClean and Quiet. All staff responded quickly to my needs and requests. I'd recommend this development to anyone looking to move to the area. Living in Camelotsubmitted by Nancy C. - Jul 30, 2018 |Recommended: YesGreat place to live, well maintained and good neighbors. Overall, pleased with my experience. Respectful and friendly neighbors and staff. submitted by Claribel A.  - Jul 01, 2018 |Recommended: YesCamelot La Mer is a nice, diverse residential community. The leasing office and neighbors are friendly. I have enjoyed my time here. Love my apartmentsubmitted by Evette R. - Apr 04, 2018 |Recommended: YesQuiet neighborhood, friendly and approachable staff. Beautiful apartments well kept. Spacious Apartments Great Service to Tenantssubmitted by Lauren F. - Mar 06, 2018 |Recommended: YesApartments are incredibly spacious and layouts are designed very thoughtfully maximizing all available space. Service and attentiveness at both the main office and maintenance office are exceptional, always ready to take care of tenants needs in a timely fashion and work around work schedules, pets, and any other personal needs when help is needed.